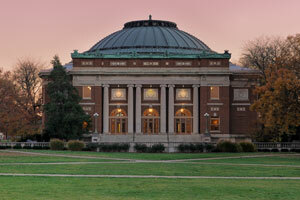 Champaign is home to 81,000 residents as well as the University of Illinois and Parkland College. There are many effective advertising opportunities throughout the city including these two universities. Target your audience with out-of-home advertising near the campus of the University of Illinois to gain thousands of potential new customers. Another possibility for outdoor advertisements is in one of the many neighborhoods such as Downtown or the Theatre Co-op. Billboards on I-57, I-72, or I-74 would generate high traffic exposure of your business.